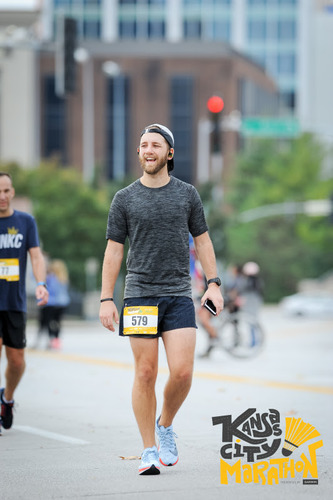 This was my 3rd marathon in a period of 9 weeks and it was a struggle-fest. For better or worse I signed up for this race just to check off another state before our son was born and ultimately my body wasn't ready for the toll of the 3rd marathon in such a short window. Course: It's hilly. I didn't realize that fully until I got into town the evening before the race. But the crowd support was pretty solid throughout most of the race and you see most of the big landmarks along the way. Lodging: Stayed at the Westin downtown. It was one of the race hotels and a perfect option. You can walk out the door and you're right at the starting line (and finish line). Food / Drink: It probably goes without saying but the BBQ is fantastic - I hit up Gates (night before the race), Joe's and Q39. Q39 was the best BBQ I've ever had in my life. Boulevard Brewing was also a hit - huge space with a lot of great beers. Gear: You get a t-shirt (i.e. not a running shirt) - but it is a nice one and the logo is good. The medal is pretty ugly. It is huge and just a big KC with 26.2 on the inside all over it in different sizes. 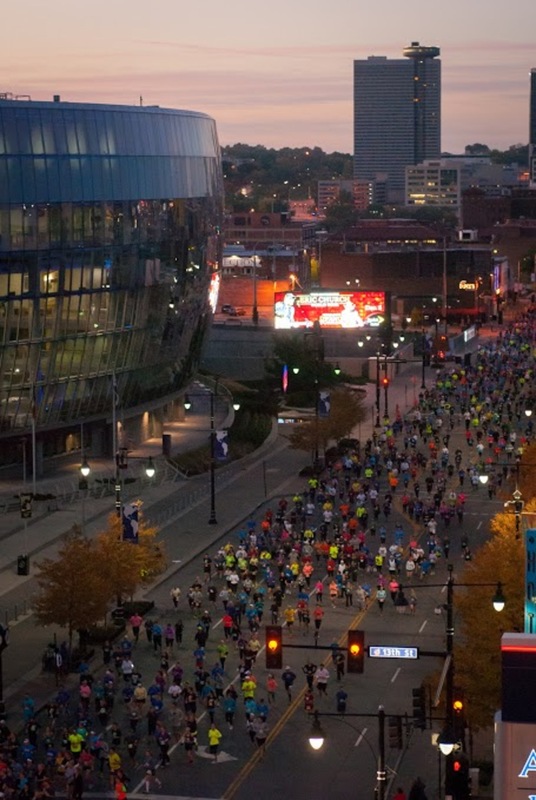 Other Notes: The administration left a little to be desired - I had participated in a survey that was supposed to get me access to some VIP benefits, when I arrived at Packet Pick Up I was informed I wasn't on the list and there wasn't anything I could do about it. I followed up after the race was over and never heard anything back. Overall: It's a really nice race. I wasn't fully prepared physically / mentally for all the hills but Kansas City is a cool town and the course covers a lot of the city. Considering Kansas City Marathon presented by Garmin?